Nairobi Senator Johnson Sakaja has become quite the popular public figure since joining politics. He was most recently on the spot after coming to Babu’s Owino’s rescue following the MP’s arrest. Some quarters have suggested that the incident was his way of reaching out to the Opposition support base to boost his 2022 ambitions. Well, Sakaja has spoken about reports of eyeing the Nairobi gubernatorial seat. 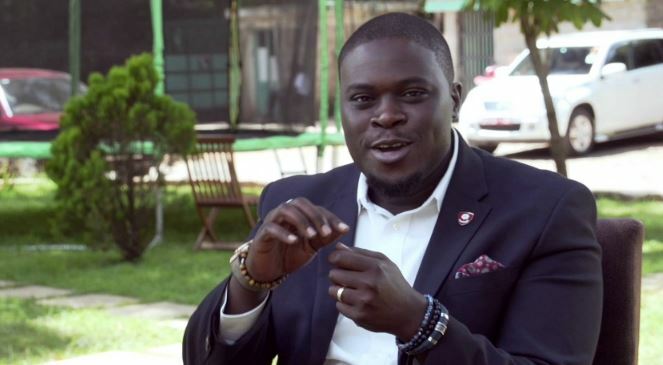 In a recent interview, Sakaja also spoke about Kenya’s political landscape, Nasa’s swearing-in, and Nairobi County government affairs since Kidero left office. Is Kenya progressing or regressing politically? If you compare the political space, we have made progress. In 2007 it was unthinkable that people would talk about a President the way they do today, swear themselves in, and have Presidential election nullified. We may not be there yet but we have made strides. We have also made many steps back if you look at the deeply tribal nature of our politics and the hate among people. Ethnic mobilization and rhetoric in our vernacular stations. Is it true you played a role in dissuading three NASA principals – Kalonzo Musyoka, Moses Wetang’ula and Musalia Mudavadi from attending Raila’s ‘swearing in’? (Laughs) what do you mean? I am not that powerful. I didn’t. Again I have no interest in NASA affairs. The swearing in was ill-advised. But I said if the swearing in of Raila would release the protracted political pressure, let it be allowed. I am proud there was no life lost. Are you close to any of the three? Mudavadi is my relative. Wetang’ula has been a family friend for so many years. In fact, I bought my first car from Wetang’ula when I was in the university— a Mercedes Benz. Do you think the recent media shutdown by the government was justified? If you go to KBC today, you find GSU trucks there so that no one can go there and announce they have taken over the government. I don’t understand why media would gleefully cover an illegality and want it live. But we must never infringe on the rights of the media so long as the media also does not decide to play politics. The best way that media serves democracy is by being a mirror of the society and not forming its own opinion in a country where media influence is unchallenged. Would you have shut down the media if you were the President? I would have dealt with it differently. But you see the President is advised by many people. He got my advice to avoid deploying police (to Raila’s ‘swearing in’. He also got advice from intelligence service, from his ministers and the police. I don’t know if I had the advice he had in entirety I would have acted the same. My advice was to ignore the event, let them swear in Raila and we move on with other things. But I understand the thinking of some people within government is to make the arrests so that people don’t just decide to swear themselves as President when they want. If he read the oath of office as the President then he should be arrested because that is against the law. But again, when you think just about the law then you would make bad decisions because what effect does the arrest have? Also, if you arrest people for doing something for him, why not arrest him? They have put us in a situation with no clarity. You were to run for Nairobi Governor but decamped for Senate. Are we making progress in the management of the city under Jubilee? I made the decision to run for the Senate because the nature of our politics was tearing the party apart. You would think the elections was between Jubilee candidates. We had even forgotten about then Governor Evans Kidero. If I didn’t make that decision Kidero would still be the governor today because he would have split us (Jubilee) in two. A lot of what has hindered progress now is trying to undo the messes Kidero left. For instance, the county is struggling to pay a debt of Sh60 billion. We are dealing with a bloated workforce. I have seen some improvements so far in terms of systems. Loopholes where officials could carry away money after collection have been fixed. Moving further, I wish Nairobi Governor (Mike) Sonko could have fully constituted his team for proper implementation of his agenda. Right now, Nairobi is still being run by Kidero people apart from the County Executive Committee. Disaster response needs improvement. We also need to go to the core of what troubles Nairobi. It was unfortunate because we had high hopes in the two. They complemented each other but I think the deputy governor had wrong expectations. If you expect as a deputy to perform executive functions to the exclusion of your boss, you get it wrong from the beginning. When we said during the campaigns that Sonko would be on the ground and he would be in the office, he took it literally that he would run the county single-handedly. Even the oath the Deputy Governor takes is to assist the governor and not to work on behalf of the governor. But there is no vacuum, work must go on in the county. Nairobi is not an isolated case, what could be the problem between county chiefs and their deputies? The mistake we made in the Constitution was to make the deputy governor an elective seat. We should trust the responsibility of running a county in one person and allow them to pick one their ministers to play the deputy role. Governors should have powers to nominate a deputy and the assembly approves, or reshuffle when they don’t perform. You were criticized by Jubilee leaders for releasing Embakasi East MP Babu Owino while Opposition supporters praised you. What does this say about our politics? Those comments by some members of Jubilee are examples how politicians stumble even as we try new kind of politics. When I did that it was nothing to do with politics. It was a legal matter that you cannot detain somebody for a bailable offense. Politics should not be enmity, it is a competition. Mending fences and not returning hate for hate remains my type of leadership. Some quarters said helping Babu Owino was your way of reaching out to Opposition support base in Nairobi for your 2022 political ambitions? It had nothing to do with 2022. If anything I have not declared I’m running for any position in 2022. I can even decide I’m done with politics by that time because I don’t think this country has space for my kind of politics. There are people who want it but there are many who don’t understand that kind of politics. Politics should not be about life and death. Our discussions should give life to our country not hate and divisions. I have heard people speculating that I want to vie for (Nairobi) governor in 2022. I think these are some of the things that take our country back; that as soon as an election is over you start campaigns for the next election. I have no campaign plans for 2022. If anything, I am comfortable in the Senate. So as it is today, I would want to defend my seat but if the people of Nairobi think otherwise they have time to express it. But I cannot serve the people with an eye on the next election. Let me perform to my full potential and from there, I could be a presidential candidate, a running mate or Nairobi governor. What are some of your achievements since joining Parliament in 2013? I was able to demonstrate that being a youthful leader does not mean that your politics is filled by insult, misbehavior and dress like a hip-hop star. As a result of that, we have a huge number youthful leaders in the current Parliament. I was able to sponsor legislations, including an amendment to the Procurement Act that ensures 30 percent of procurement go to youths, women and people with disability. I started from scratch, drafted, published and passed National Employment of Authority which as Act of Parliament now. I had the highest number of private Bills than any other MP in the last Parliament. Politics can be draining. How do you balance between family and politics? …I drop my two boys to school every day alone, no bodyguard, no driver, just me. That is when I discuss with them things about school and life. They tell me what they want. Some things like family you can’t delicate to your PA. I find time to spend with my family on weekends. I also made it deliberate to sometimes have lunch with the family at home.